Bob Debus highlights the incarceration crisis in the Second Frank Walker Memorial Lecture - “The Things That Must Be Done…” ** Some Genuine Decision-Making Power: Dealing with the over-representation of Aboriginal people in the prison system. Read the full speech here. Sign our Change.Org petition and stand with us to stand up to racism https://www.change.org/p/help-stop-racism-in-our-health-system The petition supports the Close the Gap Campaign's call for the Senate Select Committee on Health to establish an inquiry into racism and institutional racism in health care settings. 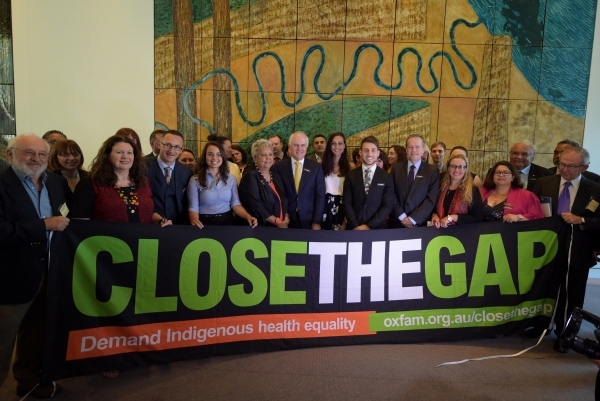 The Close the Gap Campaign today launched the progress and priorities report. The full report can be read here. Koori Mail reports ANTaR's call for action on violence and the over-incarceration of Aboriginal and Torres Strait Islander people. NITV journalist and Wirradjuri man Stan Grant made profound remarks about racism that challenge the fabric of the Australian Dream. He was participating in a debate hosted by the Ethics Centre in 2015. Watch the clip here. Following the meeting of the Council of Australian Governments on Friday, national advocacy organisation for Aboriginal and Torres Strait Islander rights – ANTaR, today expressed frustration at the absence of any focus on lowering rates of violence and incarceration experienced by First Peoples. Read our statement: COAG must now set targets to reduce incarceration and violence experienced by First Peoples. The Change the Record Coalition will today meet in Canberra to launch the ‘Blueprint for Change’. This is the first time a broad range of Aboriginal and Torres Strait Islander and non-Indigenous organisations have come together with a concrete plan for Federal, State and Territory Governments to change the record on soaring Aboriginal imprisonment rates and high levels of experienced violence. ANTaR, national advocacy organisation for Aboriginal and Torres Strait Islander rights, today called on government to demonstrate its commitment to First Peoples’ human rights by acting on the recommendations of the Universal Periodic Review.